Good morning Paper Peeps! I hope you all enjoyed a wonderful holiday with your families and had lots of tasty treats! I’m dropping in to share a card I created for Graphic 45. One of the best things about G45 patterned paper lines is how well they go together so you can mix and match and come up with really unique combinations. Pretty ribbons match perfectly….Topaz Checkerboard Satin, Antique Gold Burlap,Ivory Burlap String, White Lace. Hey there Paper Peeps. I know we’ve been on a bit of a Christmas project swing lately…but today we’re changing it up a bit to share a project I created especially for Graphic 45. They asked for some Thanksgiving Decor..and I admit as a Mom of two boys….the only table decor I’ve had usually starts with turkeys traced from their cute little hands : ) They are not little anymore so time for something a little more grown up! This centerpiece started out life as a re-purposed lantern from Bath and Body Works . I loved the shape..and a flameless candle can fit inside to light it up. This lantern is approx. 11 inches tall. 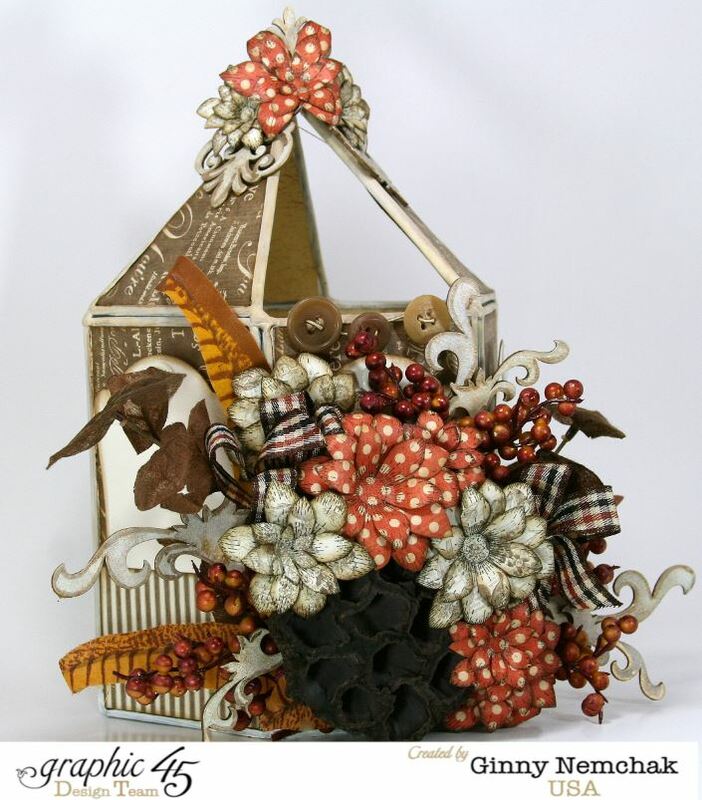 From the side you can really see how I layered on the dimensional flowers created with the Graphic 45 papers.The Ivory/Brown/Copper Plaid ribbon is from Really Reasonable Ribbon. 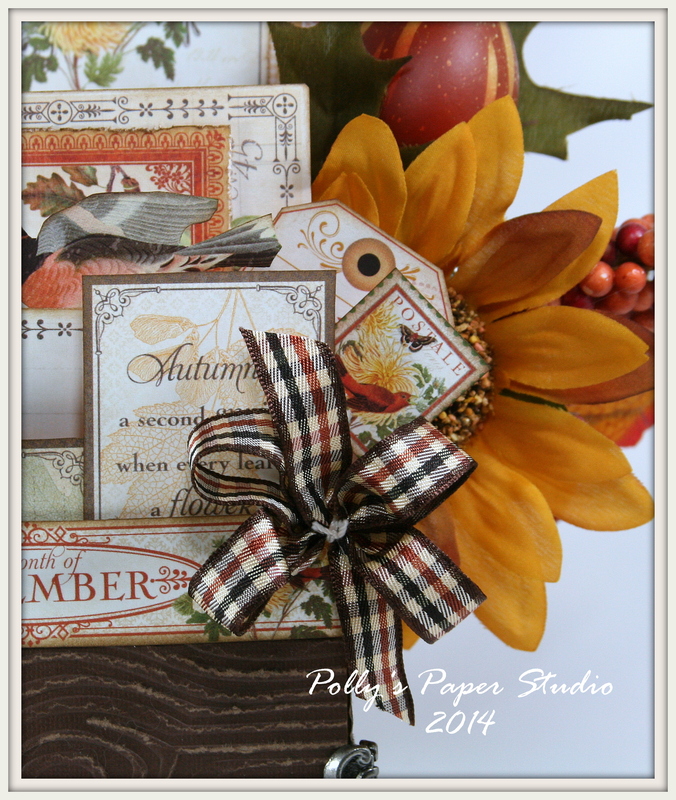 I incorporated some Dusty Attic chipboard and a few elements from a Fall pic from the craft store. You can see that I’ve even covered the top…..why did I do this I’ll never know because it makes it difficult to pic up…but it’s pretty so that what counts right? I’ve also added some tags from the Ivory Tag Album to brighten up the dark colors. The beautiful Really Reasonable Ribbons I used for these cards: Burlap Center Stitch Pink, Chevron Striped Twill Light Blue, Diamonds and Dots on Silver Satin, Plaid Ribbon Blue/Gray/Ivory, and Wild Orchid Crafts Open Roses Baby Blue. 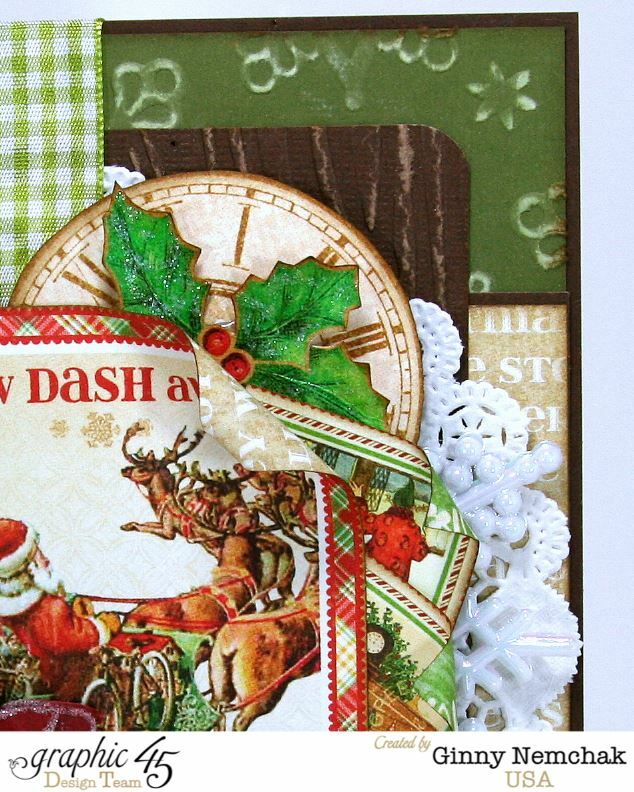 I used the patterned papers and images from my Victorian Christmas Creativity Kit along with cardstock and bits and pieces from my scrap and salvage box. 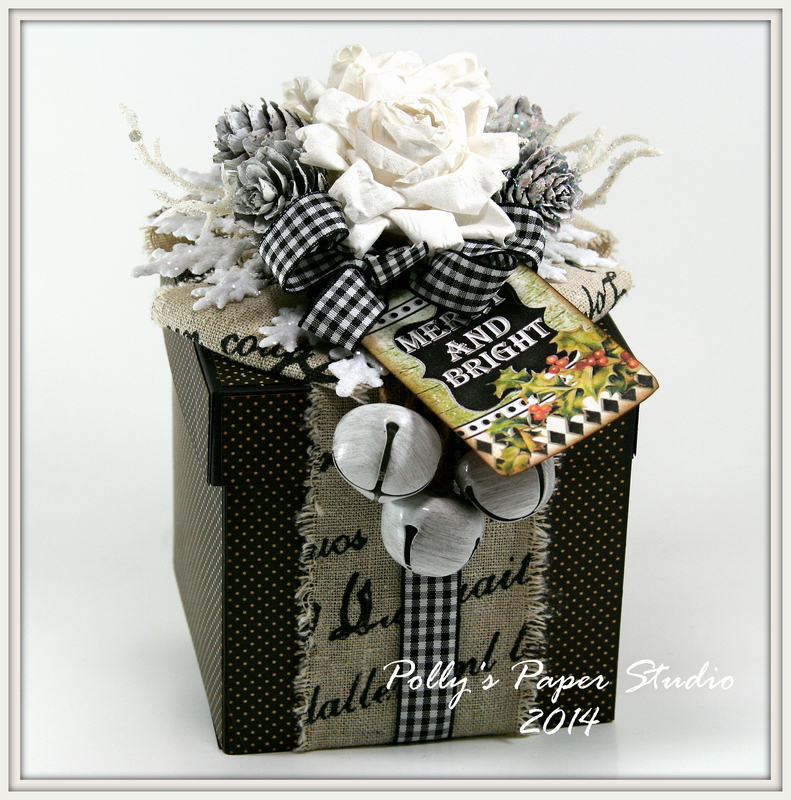 For this theme it’s Gift Packaging and Ribbon…two things that just go together…like chocolate and peanut butter! 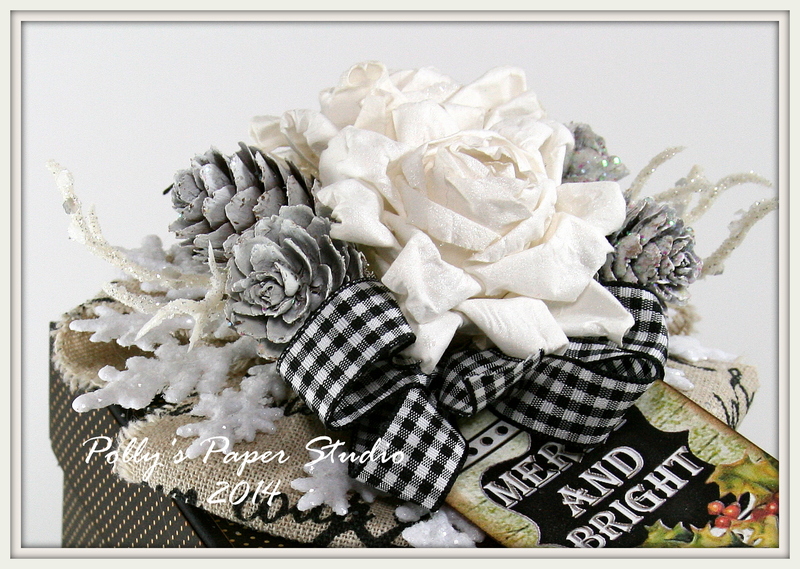 I started with a big bold Vintage Script Ribbon with a lovely tattered edge then topped it off with Black Plaid Ribbon. Okay now it’s your turn to create a fabulous project and link up with us for Challenge #107 Gift Packaging and Ribbon or Trim to play along! Okay that’s all for me…getting ready to take Teen Peep 2 to school and it’s exactly -1 degrees……and it’s not even December yet yikes!!!! Well hey there Paper Peeps. It a chilly morning here in Michigan (11 degrees) and we’ve had an overnight snow…so it’s time to get in full on Christmas project mode! 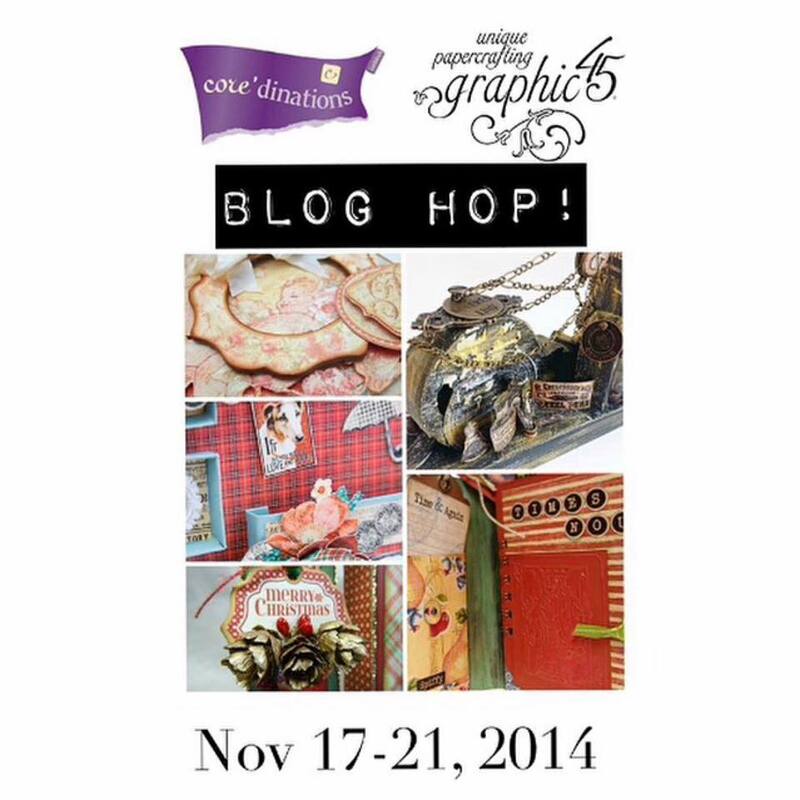 Today I am sharing the card I created for the Graphic 45 ~Core-dinations Blog Hop. 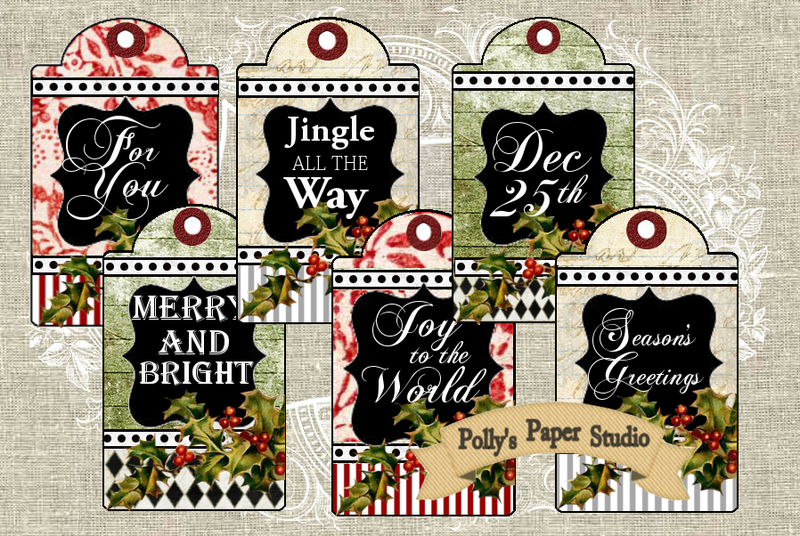 I ran my Core’dinations cardstock through embossing folders, sanded and chalked to create a nice background pattern for Twas the Night Before Christmas paper from Graphic 45. To make the holly extra festive I gave them a good coating in Stickles. 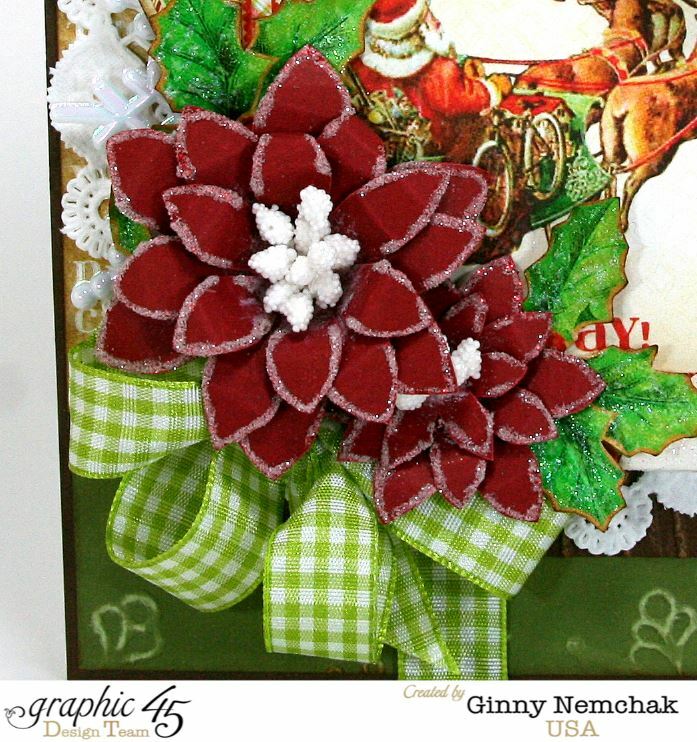 These poinsettias are also created with the cardstock. More glitter and a fancy center. I love this Celery Green Plaid Ribbon from Really Reasonable Ribbon to brighten up this arrangement. 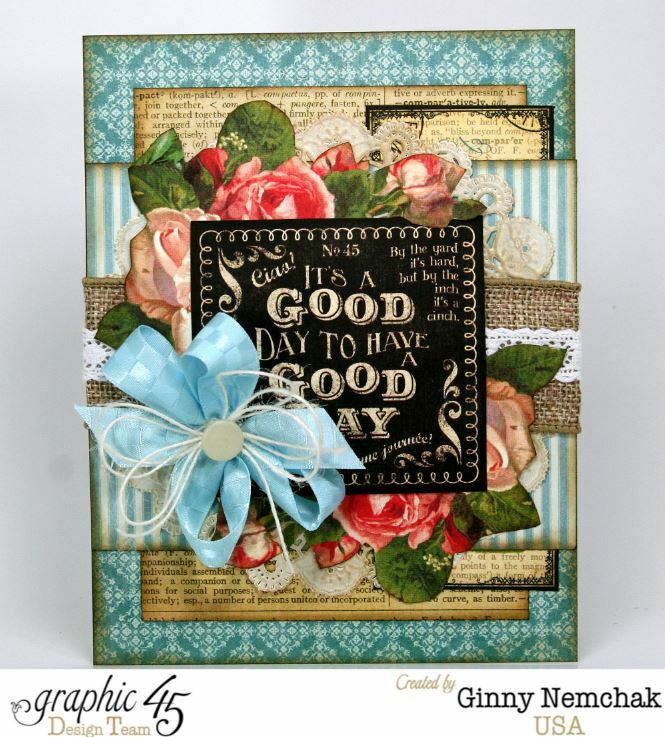 The embossing added fun texture and the embellishments add lots of dimension. 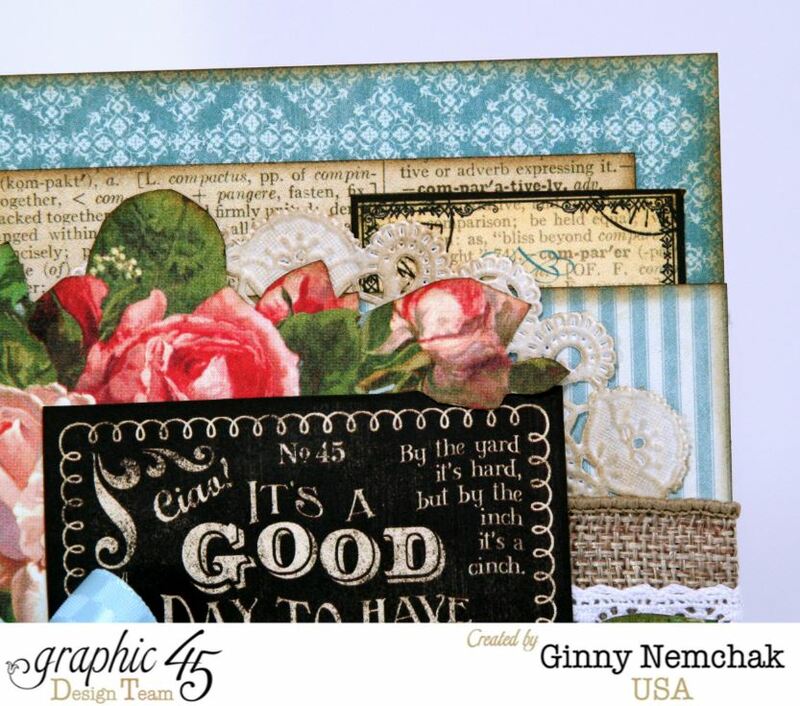 There is so much inspiration in this blog hop I encourage you to visit the Graphic 45 blog to enjoy the projects the DT have created using the Core’dinations cardstocks. Hey there Paper Peeps! 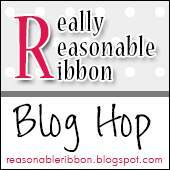 Don’t you just get all kinds of excited on blog hop day? I do!!! 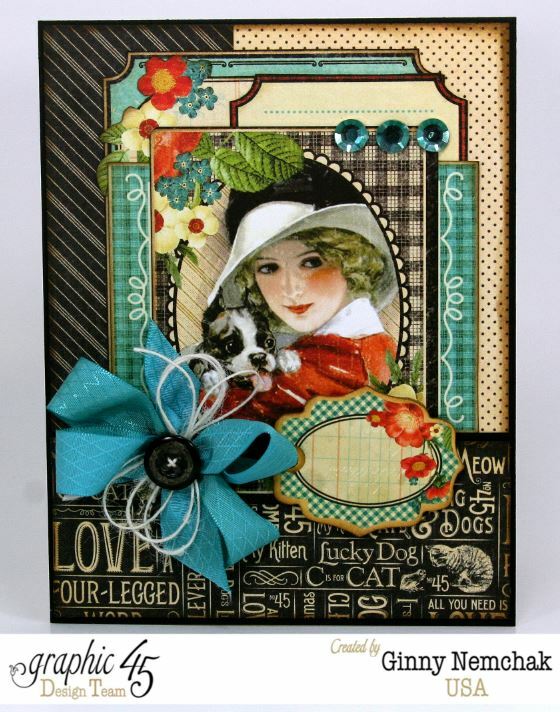 This time we are sharing our projects we created using the November Ribbon Club Assortment….which is awesome! 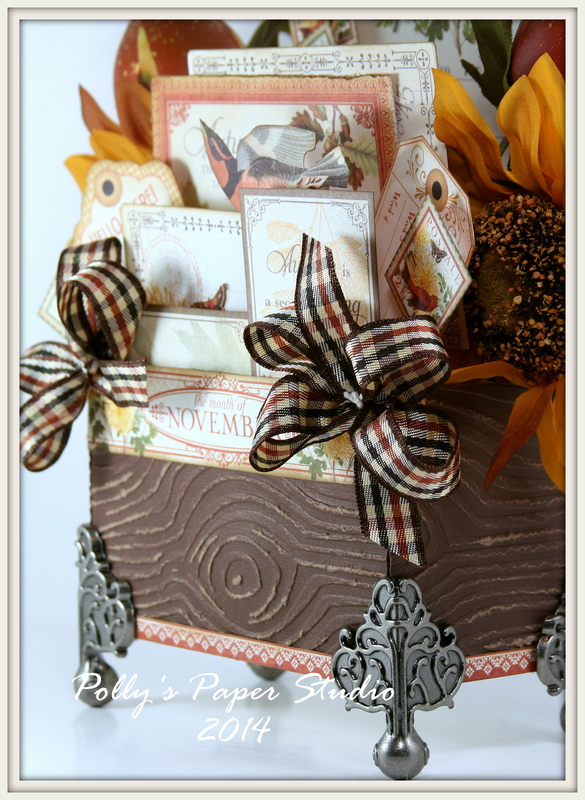 Rustic Hues is just perfect for Fall Projects. Okay let’s get the hop on…..you should be coming to me from the fabulous Gloria (I totally love her!!) If you’re just getting started….please Click HERE so you can start at the beginning and not miss out on any of the awesomeness. I decided to whip up a little Fall decor to add to my centerpiece. 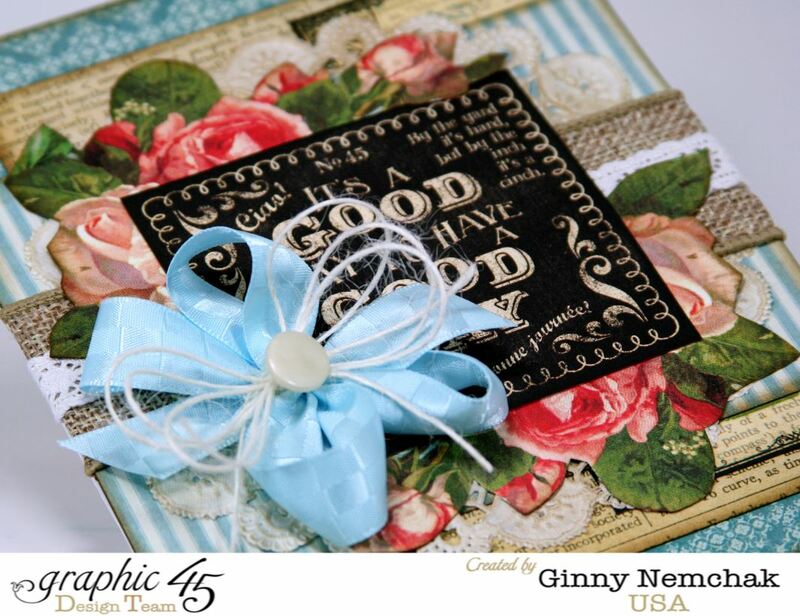 I created a box and covered it in embossed chocolate cardstock to look like wood the added some spacers inside so I could layer the fabulous Time To Flourish November patterned papers from Graphic 45. 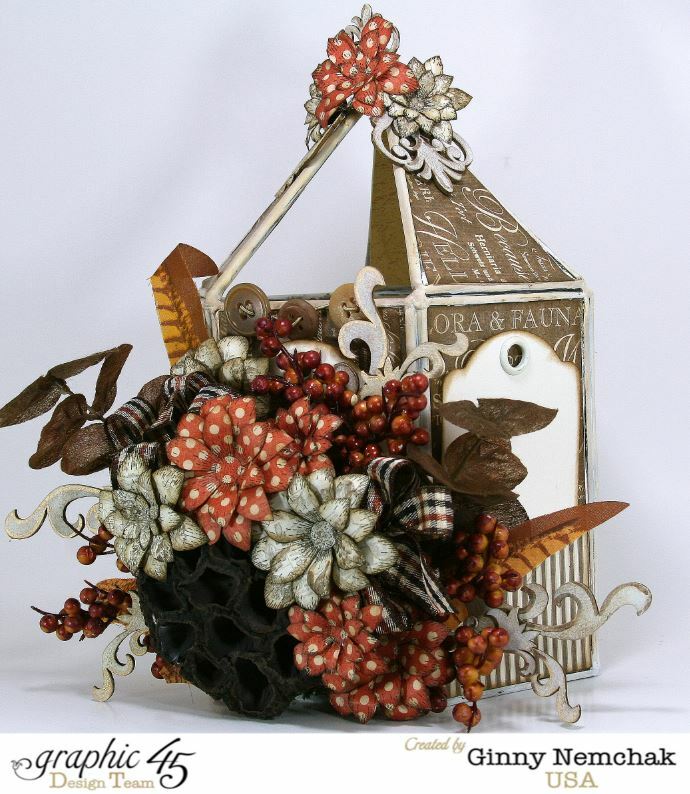 There are also two fairly large Fall floral picks. I could not have asked for a better color combination than the Ivory-Brown-Copper Plaid Ribbon. The bows help to anchor the front corners. There’s a fair few layers here lol. Adding all the pieces on spacers keeps the images from looking jumbled. You can see how much depth is here. 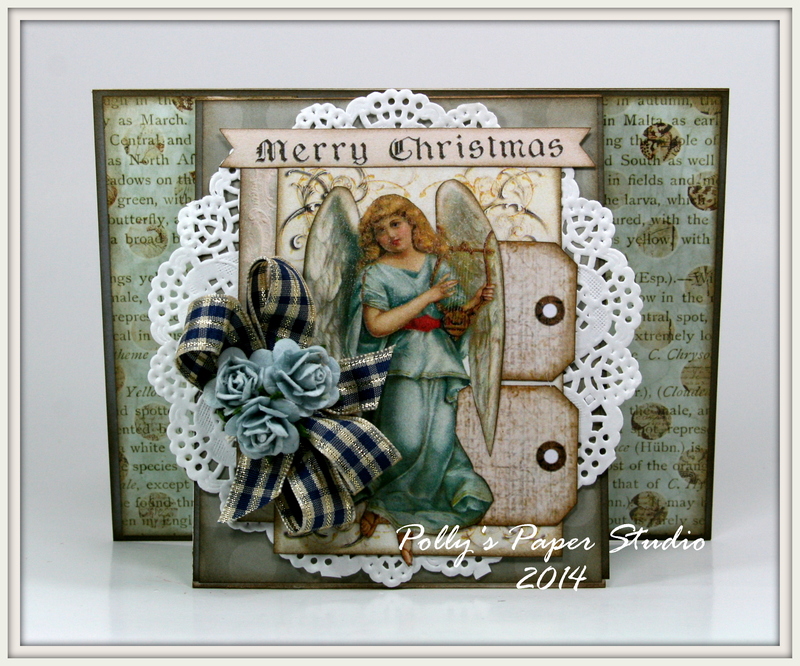 This is the third project so far that I’ve used the Ribbon Club Assortment on…..I love it so much!!!! I used Ivory-Rust-Gold Plaid for the sleigh. 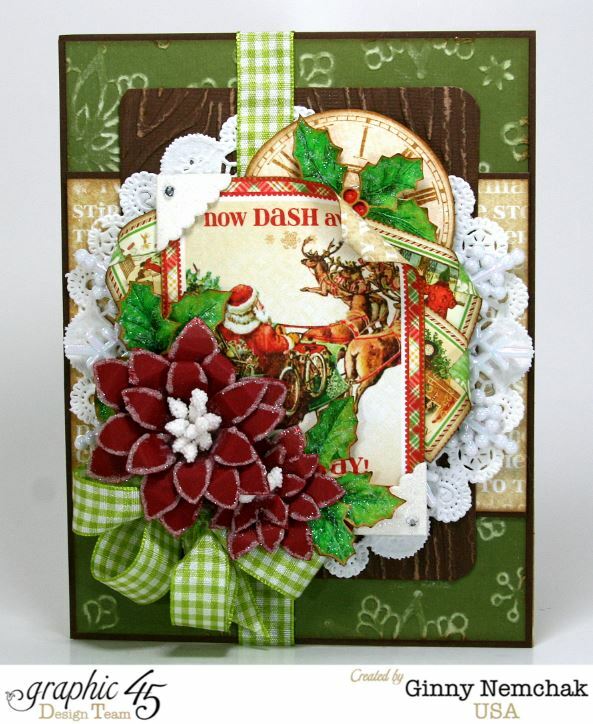 More of the Brown Plaid for this card and the Arianna Natural Crocheted Lace for the Woodland Card. Hey Peeps! 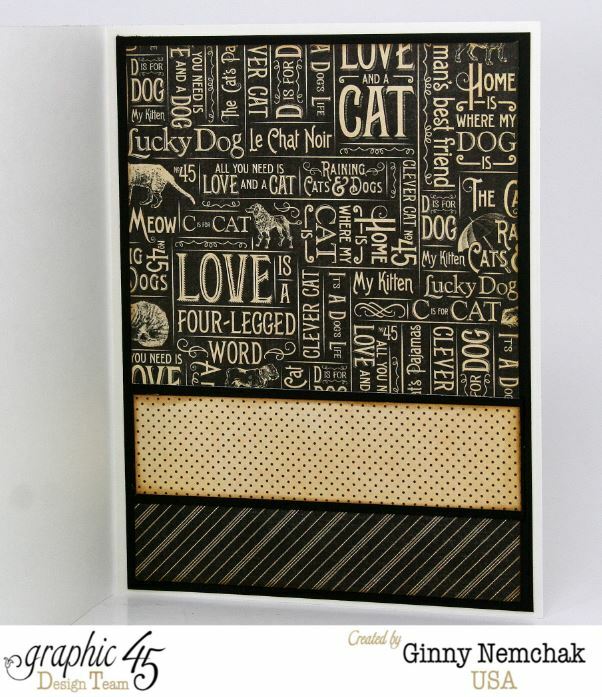 I’ve got a lot on deck today…..gonna be a busy girl….but I have just enough time to pop in a share a fun card for a person who loves their four legged friends. And for me…that’s like pretty much everyone I know.